Father Pierre Dil, founder of Makeni Ecumenical Centre, passed away peacefully on the 9th of March, 2005, in St Luke’s Hospice, Cape Town. Nearly 900 people attended the funeral, which was held on the 16th of March at Makeni Ecumenical Centre, the place of his life’s work. Father Dil was buried next to the Church of the Good Shepherd. 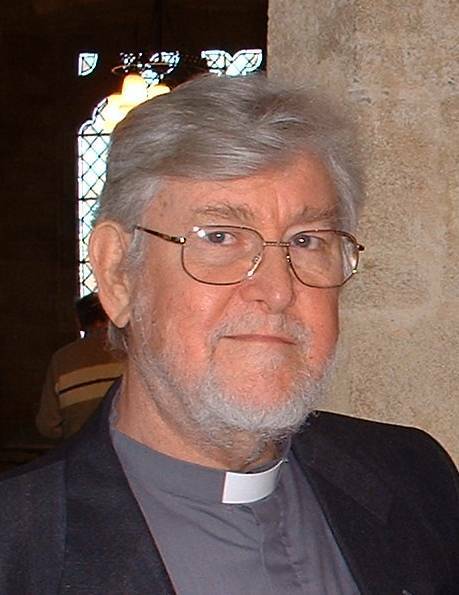 THE Anglican Church has described the death of Father Pierre Dil as a loss not only to Zambia but also to humanity. Fr Dil, founder of Makeni Ecumenical Centre, was buried yesterday at the centre. And addressing mourners, acting community development minister Marina Nsingo said it was sad that Zambia had lost a man who had contributed to the welfare of the local populace. Nsingo said that for the past 34 years, Fr Dil had initiated various developmental projects such as the Lusaka Nutrition Group, which worked in collaboration with National Food and Nutrition Commission. “The late Fr Dil, who has been in Zambia for the past 37 years, contributed to the improvement of the living standards of ordinary Zambians. He was involved in various fundraising walks to help the poor in society and, upon identifying other needs, he established MEC to address landlessness and unemployment,” she said. Nsingo said that establishing an orphanage and an HIV and AIDS centre were other huge contributions that Fr Dil had made to society. She urged others to emulate the late priest, who was compassionate for his fellow human beings. And MEC representative Joe Silwenga said Fr Dil’s care for the vulnerable had made him a great teacher and preacher. Silwenga said over 1,500 families had benefited from land empowerment, while 322 families were now settled in villages such as Mwembeshi and Kalwelwe thanks to MEC. He added that over 1,000 people currently benefited from the HIV and AIDS awareness program at the centre. Fr Dil, who was also the vicar general for the Continuing Anglican Communion in Zambia, died of cancer in Cape Town last week. WORKS and Supply Minister Marina Nsingo has described the late Anglican priest Pierre Joseph Dil as a visionary who contributed massively to the welfare of the vulnerable in society. Ms Nsingo said during the burial service yesterday at Makeni Ecumenical Centre in Lusaka that the late Fr Dil was a practical priest who helped the needy all his lifetime. “Dear brethren, it is saddening to witness the burial of a man who has contributed so greatly to the improvement of the living standards of the disadvantaged and ordinary Zambians,” she said. She said Fr Dil, the vicar-general of the continuing Anglican Communion in Zambia and founder director of the MEC, came to Zambia 37 years ago at a time when the Government of the day was emphasising the policy of more and good nutrition for its people. Ms Nsingo said Fr Dil responded by setting up the Lusaka nutrition group working alongside the National Food and Nutrition Commission of the Government. She noted that many of the activities were supported by the then Kenneth Kaunda’s Government. The first president and other national leaders took part in fundraising walks. “The centre over the years diversified its operations to include HIV/AIDS centre, home based care programme and St Nicholas Orphanage to name but a few,” she said. And speaking at the same function, MEC executive committee member Joe Silwenga described Fr Dil as compassionate, especially for the vulnerable and disadvantaged regardless of age group. Mr Silwenga said Fr Dil always demanded high levels of performance and honesty from management and staff. “We knew him as a visionary, very good planner, hardworking and also excellent at resource mobilisation, the qualities that have seen the centre thrive for 34 years now,” he said.